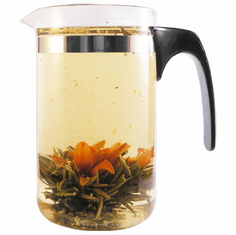 Green Tea Blossoms are hand assembled into small spheres of fine green tea leaves. 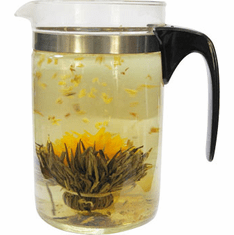 When steeped, each sphere blossoms into a beautiful array of green tea and real flowers. 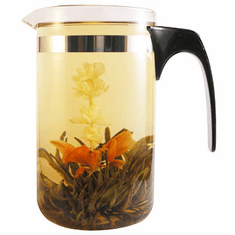 Green Tea Blossoms are a visual delight which even our photographs can not fully portray. 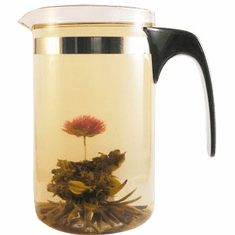 Please click on this link Green Tea Blossoms to order them.